One of the most common problems in countless households all over the world is mold, and it can be the cause of frustration and possible health risks. Aureobasidium pullulans is one such species of mold. Let’s take a closer look at this potential health hazard, what its characteristics are, and what exactly we can do to keep ourselves safe from its ill effects. The Aureobasidium genus comprises over 15 species, of which A. pullulans is the most widely known. With a worldwide distribution, it is very common in moist environments and usually grows on plants, soil, fruit, wood, sidings and in fresh water and forests. Aureobasidium is also very common indoors, especially in highly moist, damp, and humid areas like bathrooms, kitchens, tile grout, window frames, caulking and textiles. 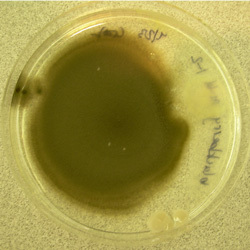 Aureobasidium colonies may be pink or black in colour. A. pullulans, in particular, is initially cream to pink in colour with a flat, smooth, and moist texture. Over time, it gets darker and becomes velvety. 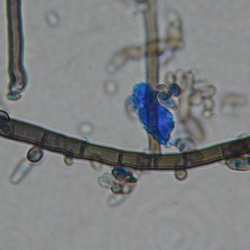 The wet spores can get distributed by wind upon drying. It grows in cooler climates and may appear alongside Cladosporium. What are known species of Aureobasidium? There are quite a few species of Aureobasidum to be found all over the world living in all types of conditions imaginable. The four major ones are A. melanogenum, A. subglaciae, A. pullulans, and A. namibiae. Owing to its ability to cause infection in human beings, A. pullulans is the most well-known species of Aureobasidium out there today. A. namibiae was discovered growing on marble in the African country of Namibia. A. subglaciae makes its home in the freezing settings of the Arctic. A. melanogenum is to be found in aquatic environments. A. pullulans itself, the most famous of the group, was first noted growing in places with minimal water activity. As our knowledge about these molds grows and we continue to discover new strains, the list will probably continue to grow. What exactly is Aureobasidium mold? This is a type of fungus that appears as a blackish colony as it grows and spreads. Depending on where exactly it establishes and how old it is, this color may range from pink to the more common black coloration. Aureobasidium molds come in a variety of different species, but the most well-known of them all is Aureobasidium pullulans, which is known best due to its ability to infect humans and widespread occurrence all over the world. As with most types of mold, Aureobasidium tends to grow in places that are warm and damp. This is why it’s so common to find mold in bathrooms, attics, basements, laundry rooms, and the like. One of the characteristics of Aureobasidium that makes it such a prevalent problem is its ability to survive in all sorts of conditions. It has the ability to survive and grow in extreme heat or cold, highly acidic environments, and even water with a high salt concentration. Out in nature, itis common to find the mold growing on plants and vegetables such as green beans, cabbage, apples, grapes, cucumber and others, although it doesn’t cause any harm to them. Aureobasidium pullulans is a common allergen, causing allergic reactions such as asthma, hay fever, hypersensitivity pneumonitis and humidifier fever. However, this mold is not a primary human pathogen and it has not been known to produce significant mycotoxins. 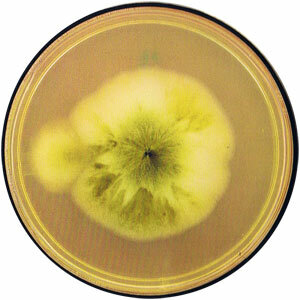 A. pullulans can also cause phaehyphomycosis. It has also been reported as a cause of keratomycosis, pulmonary mycosis with sepsis and cutaneous mycoses such as dermatitis. It may also colonize hair, skin and nails in humans. Maintaining the cleanliness of our homes and places of work is an exercise we should all take seriously. Aside from keeping up appearances, the state of our surroundings can play a large role in determining our health and that of our loved ones. What are allergies caused by Aureobasidium mold? Aureobasidium reproduces and grows by releasing spores into the air, which then travel to other places where it can establish a colony. Should we happen to breathe in these airborne spores, we run the risk of experiencing an allergic reaction. 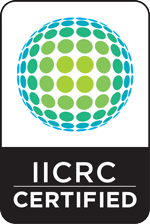 Young children, the elderly, and people suffering from certain medical conditions are particularly vulnerable to such reactions. A weakened immune system as a result of conditions such as leukemia, HIV/AIDS, cancer, or having undergone a recent organ transplant procedure will also place you at a much greater risk of ill effects from the mold. Allergic reactions are basically what we experience when our bodies try to get rid of a foreign substance from the body once it recognizes it as a threat to it. For those who are particularly sensitive to the effects of Aureobasidium inhalation, the allergic reaction might be even more severe, involving swelling of the throat region, tightening of the chest making it difficult to breathe, and even death in extreme cases. When does Aureobasidium mold infection happen? 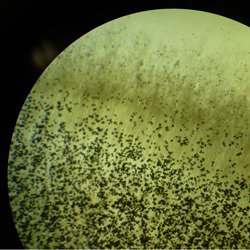 In cases where a person happens to inhale a large number of this mold’s spores, an infection could take place whereby the spores actually begin to form a colony in the person’s lungs. This can be an incredibly dangerous scenario known as hypersensitivity pneumonitis or ‘humidifier lung’. People suffering from this condition will experience fever, coughs, chest pains, dyspnea, and the symptoms of a severe allergic reaction. This infection is a chronic condition, meaning that the patient will have to take medication for an extended period of time as there is no outright cure for it. In extreme cases, surgery will have to be carried out in order to save the infected person’s life. 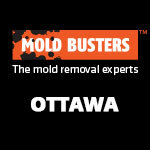 How to remove Aureobasidium mold – The proper treatment? As we’ve seen, this type of mold can represent a significant health hazard to any household where it is allowed to establish itself, and that’s why everyone needs to be alert to this potential threat. 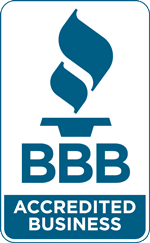 Perhaps the most important thing you can do to keep yourself safe is to be alert to any new mold growth in your home. 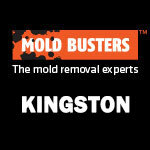 The type of mold we’re focusing on here, just like any other type of mold, prefers growing in damp, warm places. As every homeowner knows, such places can be quite numerous in an average home, so eliminating these possible risks might be outside the range of possibility for most people. Vigilance will then be the most viable course of action. Be sure to make regular prevention of the most common danger zones in your home such as basements, laundry rooms, ventilation ducts, attics, and similar locations. 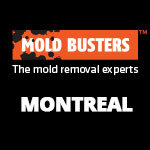 It’s important to note that you probably shouldn’t try to get rid of any mold growth you happen to notice in your home. Should you try and take care of the growth yourself, you run the risk of accidentally inhaling the mold spores and potentially falling ill. 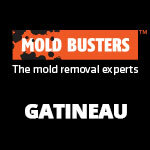 Calling in expert mold removers is a good idea. Not only we will be able to eliminate the mold growth thoroughly, we will also be able to identify any colonies you might have missed and give you guidance on what you can do to ensure such growths do not occur in future. Keep yourself and your loved ones safe from this avoidable menace.